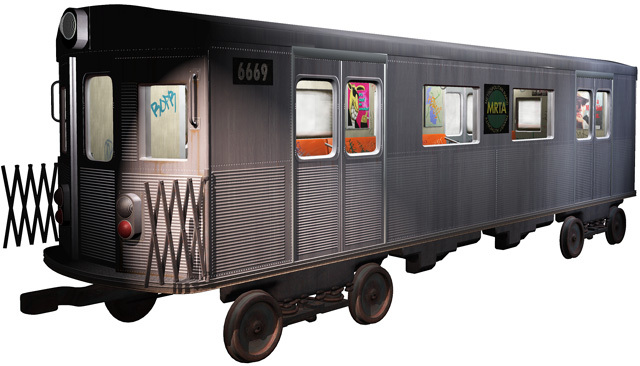 I modelled and rendered this subway car in softimage (see screenshot). The same model has a fully defined exterior and interior so that it works as both a prop and a location. A row of copies of it makes the train that goes speeding through the tunnels.